Click Here to Donate for Giving Tuesday! ​Since the project would developed through a series of phases based upon community input, the total cost of constructing the BotEco Center expand over time contingent on available financing. As now envisioned, those costs are estimated to range between $4 (boardwalk) and $90 million (full enclosure), none of which would be borne via tax increases or municipal bonding. The BotEco board is convinced that sufficient funding sources exist in the form of grants and endowments originating in the hearts and minds of various philanthropic, governmental, and industrial organizations. In order to identify and successfully compete for those grants, it would be absolutely necessary for the City of Marquette and communities it represents to get behind the initiative. 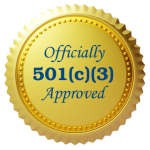 The Friends of the Ore Dock BotEco Center is a registered non-profit 501c3 organization.